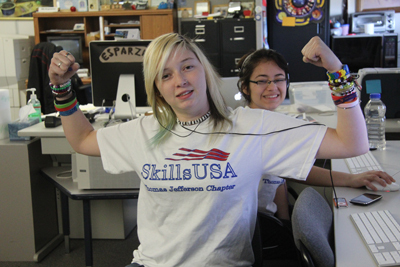 SkillUSA at Thomas Jefferson High School in Denver, CO are students who also are part of the Center for Communication Technology Magnet program (CCT Magnet). There are about 350 students in this program. There are 60 members who take part in SkillsUSA @ TJ. Most students are part of the web design, photography, and 3D animation CCT Magnet strands.